LILLEbaby has done it again. They’ve come out with a new carrier that is completely different then anything most of us have seen before. It’s called the LILLEbaby SeatMe. And, well, it has a unique shelf-seat built into it that supports baby’s hips and makes it easy to position baby’s hips in a correctly supported position. That’s our almost 3.5 year old in the carrier. With a ton of room to grow. She’s right at 30 pounds and a little over 36 inches tall. 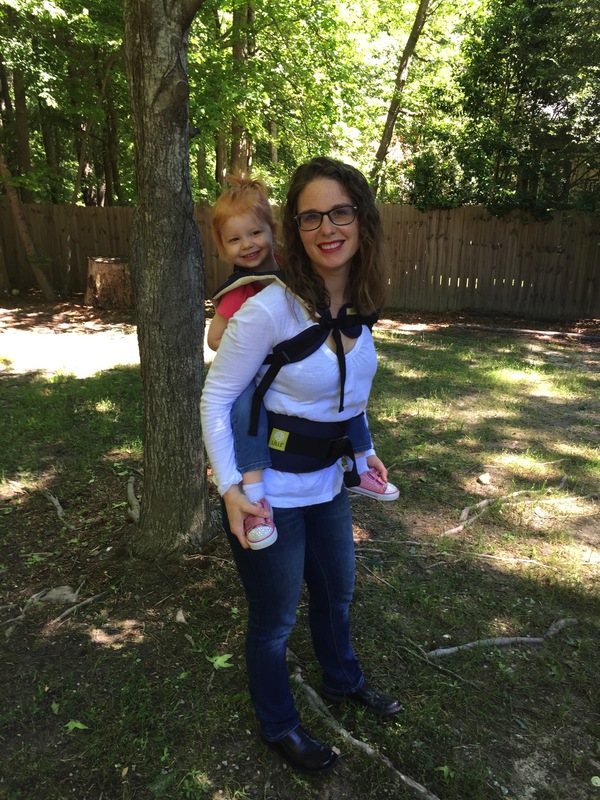 This carrier is versatile like the LILLEbaby Complete, but in some very different ways (and a few of the same). So, let’s talk about this seat. It has an integral firm and padded shelf seat for the child to sit on that can also be removed. Because you can remove the seat, you have even more options with the carrier. The unique seat design allows adjustment to the depth of the seat to ensure babies of various sizes are positioned close to the parent for safety, comfort and reduced leveraged weight. You want to make sure the buckles are always attached on the seat for added safety. 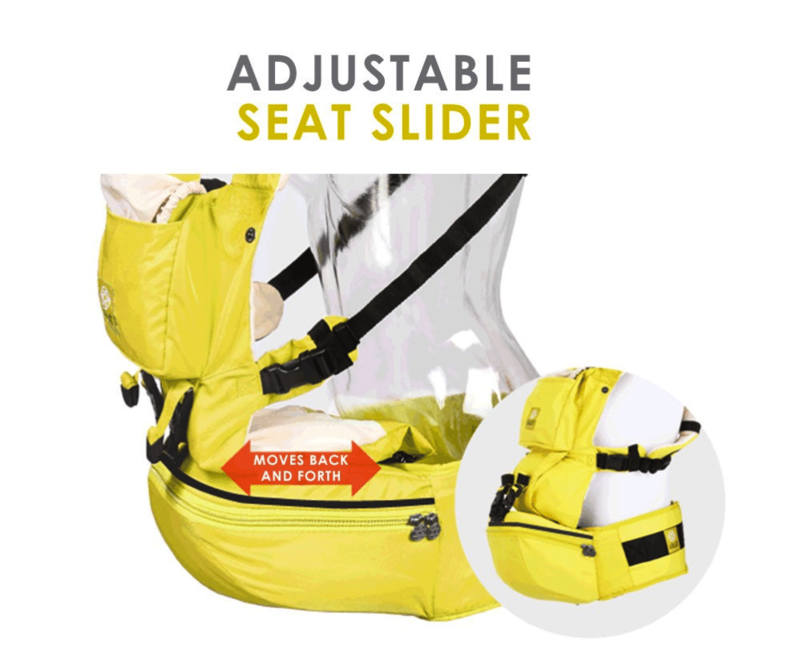 By sliding the seat buckles along the slider, you can change the depth of the seat, or how far away or close to you baby is. Here’s a different way to see what happens when you adjust the sliders. 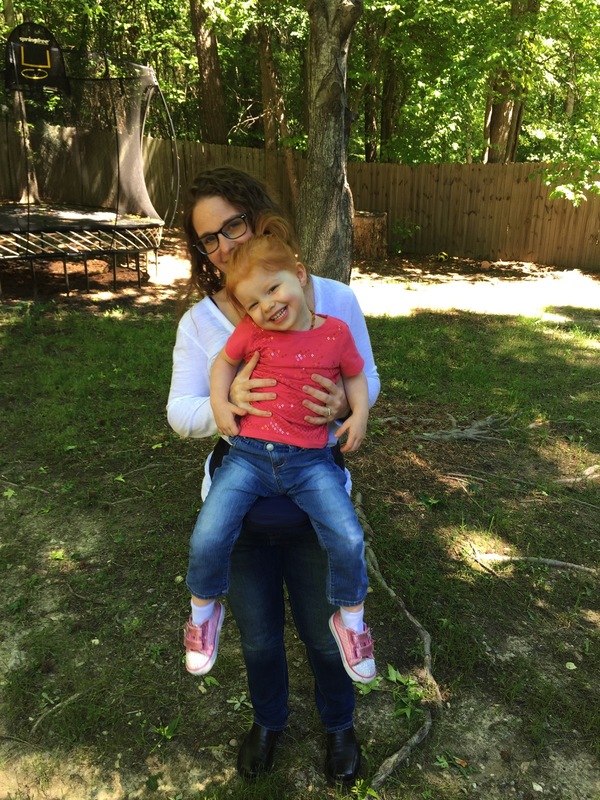 This waist belt is different then any other LILLEbaby belt to date. 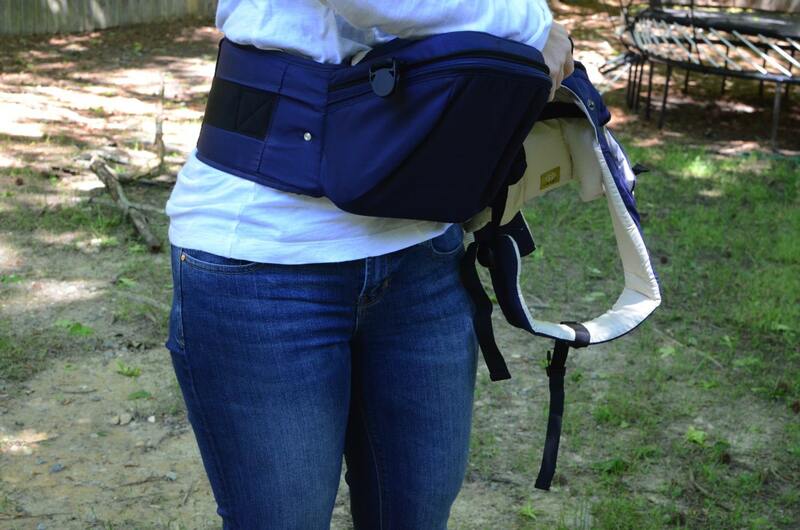 It is about 0.5-1 inches wider than other carrier bands and doesn’t have or allow for a lumbar support or a tummy pad. 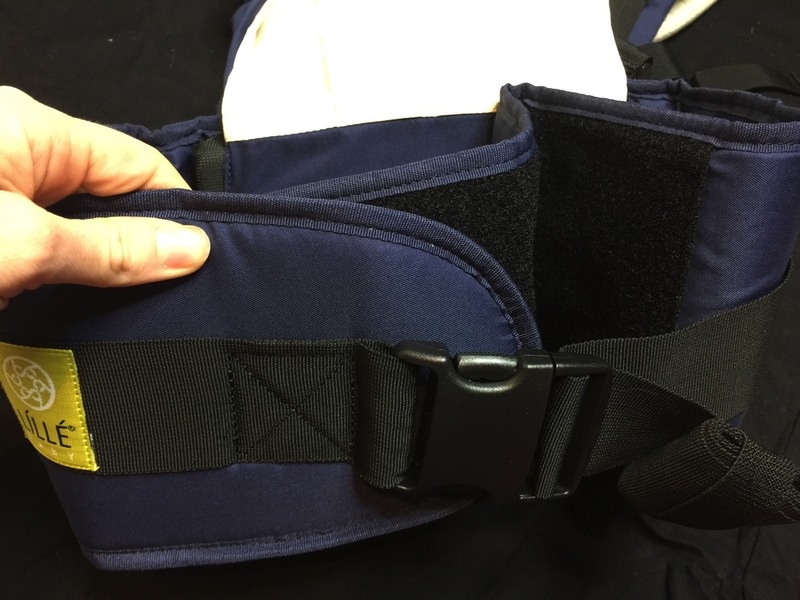 However, it’ is very comfortable and extra stable because it is wider and thus more supportive attaching with both Velcro and buckle. 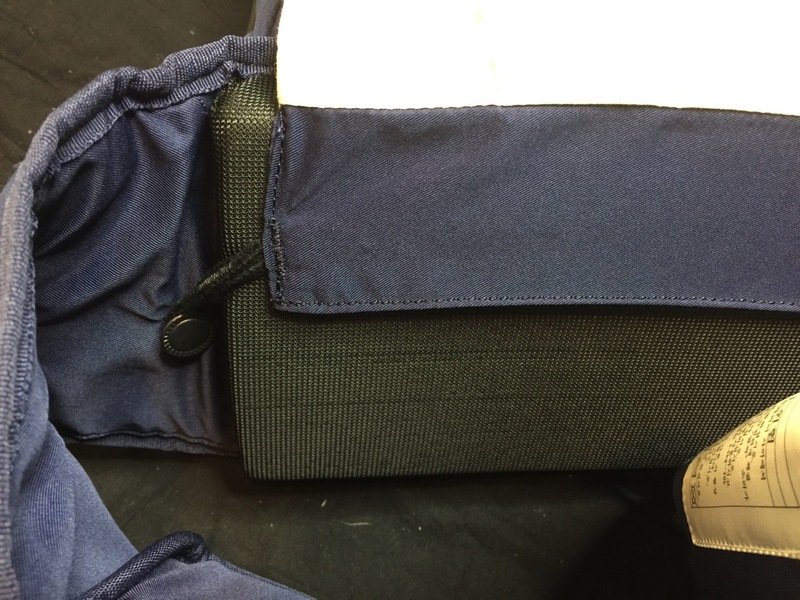 It does only go to about 45” and still allow you to secure the Velcro, so the waist band is smaller than other LILLEbaby carriers. I also found because of the thickness of the band, the waist band was definitely on my waist and almost felt higher than the LILLEbaby complete. This is kind of a weird picture, but I feel like you can see just how high up it sits on me. The bottom of the waist band was hitting my hip bones. As you can see above, there are quite a few positions. You can do forward facing out, facing in (both with and without the seat), a back carry, and a hip seat (with thee top panel detached). When there are so many options for a carrier, it helps you narrow down just how many you need. Since B is bigger, I didn’t use the carrier without the seat. 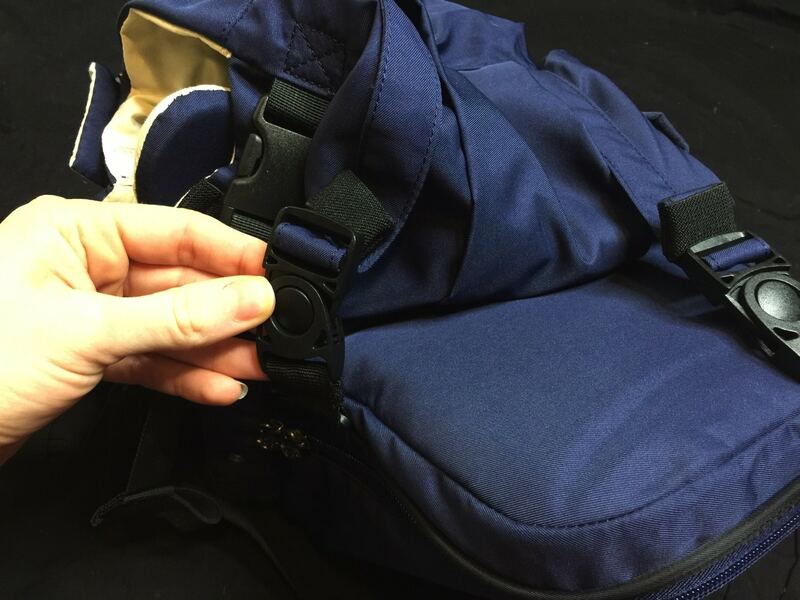 You can take the seat insert out of the carrier, and pull the panel up, making is a soft structure carrier starting at 7 pounds. 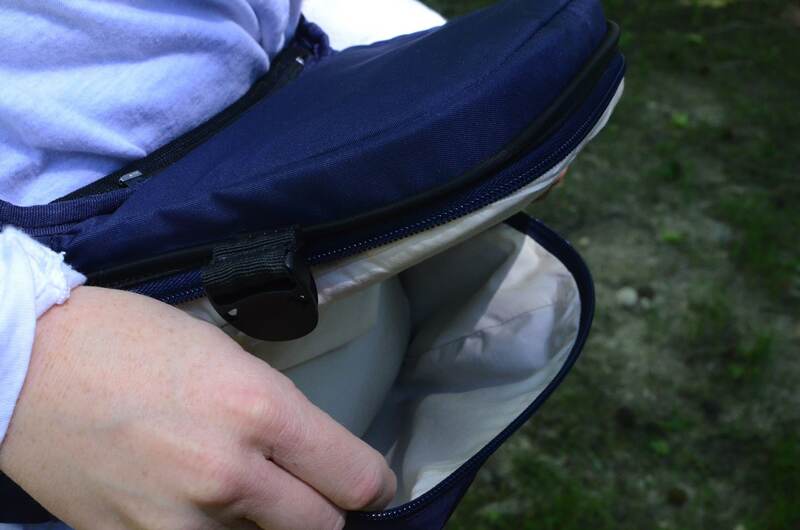 When baby reaches 12 pounds, you can add the insert back in and have the seat with the full carrier top. We’ve done a front carry with the hip seat. It was surprisingly comfortable. Because I admit, when I pulled the SeatMe out of the box, I was wondering what the heck I was looking at. She really liked that she was in a seat and felt higher up. We’ve also tried a back carry, too. I instinctively put the support up, but with both of our short torsos, I don’t know that it was completely necessary. I feel like this is B’s signature move. I want to get a picture from the back, straight on and she wants to LEAN back. You’ll notice that the panel doesn’t go knee to knee, but because of the seat on the LILLEbaby SeatMe, she’s fully supported. One of the cool things about this carrier is that you can remove the panel and you are left with a platform seat and belt that allows you to assist in holding your baby. 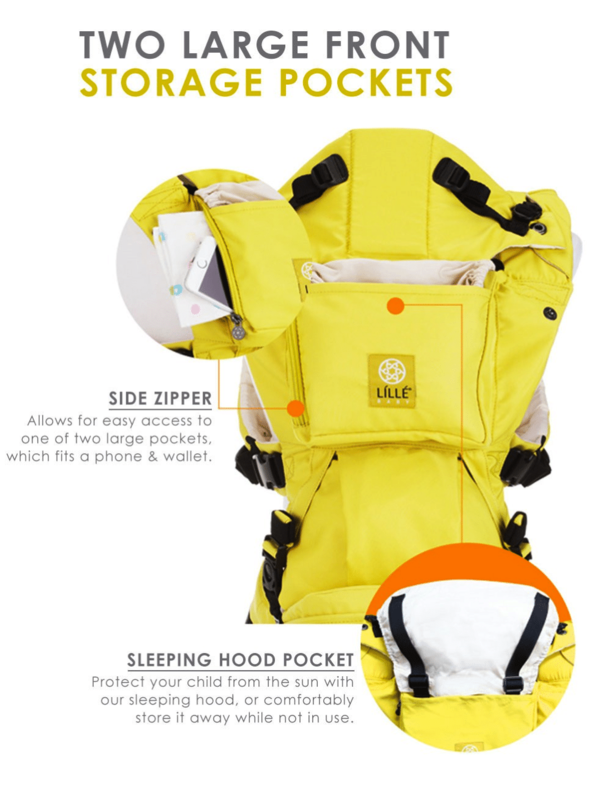 It’s super easy to pop on (like e fanny pack with a seat) for grabbing a kid for a quick carry. 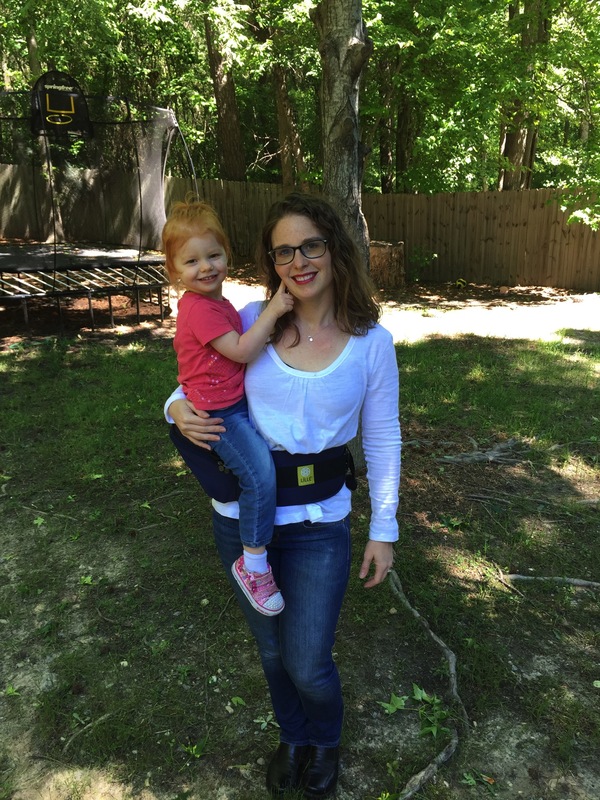 Instead of twisting the spine like you normally would when holding baby on hip, the parent’s back stays straight and the belt distributes baby’s weight around your waist. 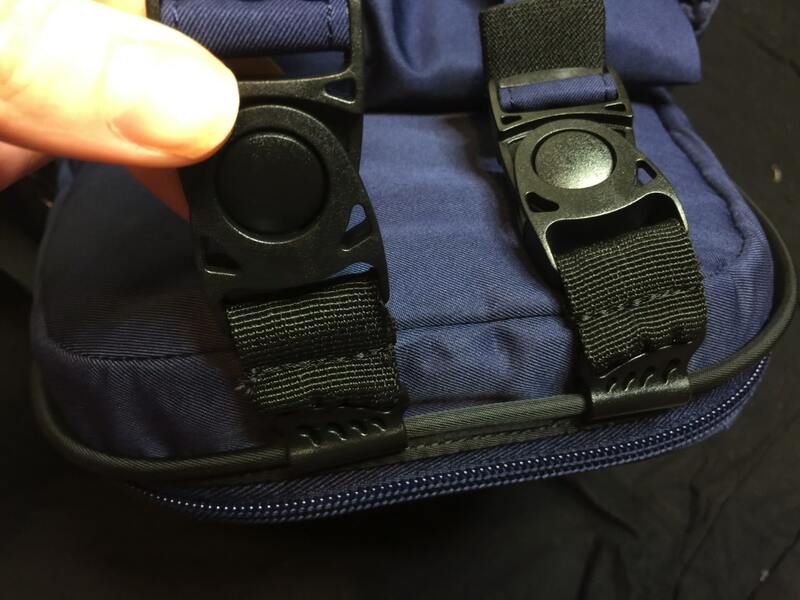 To remove the panel, you will remove these loops from the buttons on the waist panel. 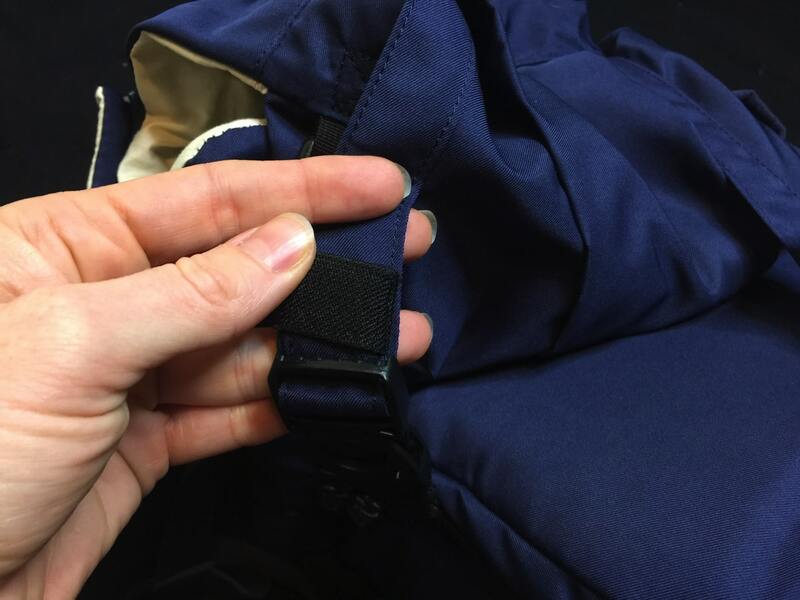 This will then expose a zipper which you unzip and the panel detaches. You are left you with a fanny pack (seriously, look at that giant pocket under the seat) and the the hard seat for your kiddo to sit on. I’m standing funny here, but you don’t have to pop your hip out to the side to carry them. After four kiddos and doing that, it’s taken a toll on my back and shoulders, so this is necessary. You can use it on your front to face them in or out, too. She wasn’t really trusting me with the seat like this, but it was very secure. Dark blue is hard to photograph. So, I’m going with these stock images to show you the top pocket. 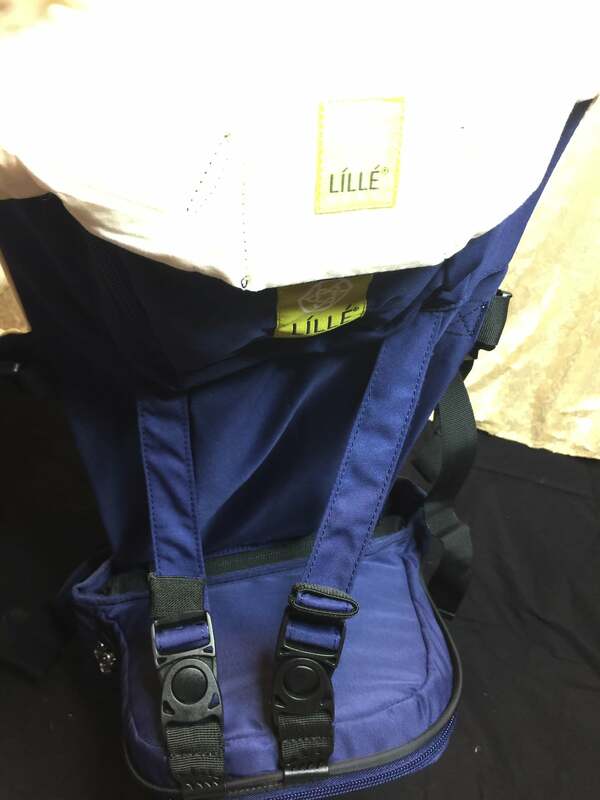 Just like the other LILLEbaby carriers, there is a very generous pocket on the LILLEbaby SeatMe panel for storing diapers, wipes, keys, etc. There is also a pocket to tuck the hood into when not in use. The other pocket was mentioned above and is under the seat. You can put some serious stuff in there and might not even have to carry an extra diaper bag depending on how long you will be out. 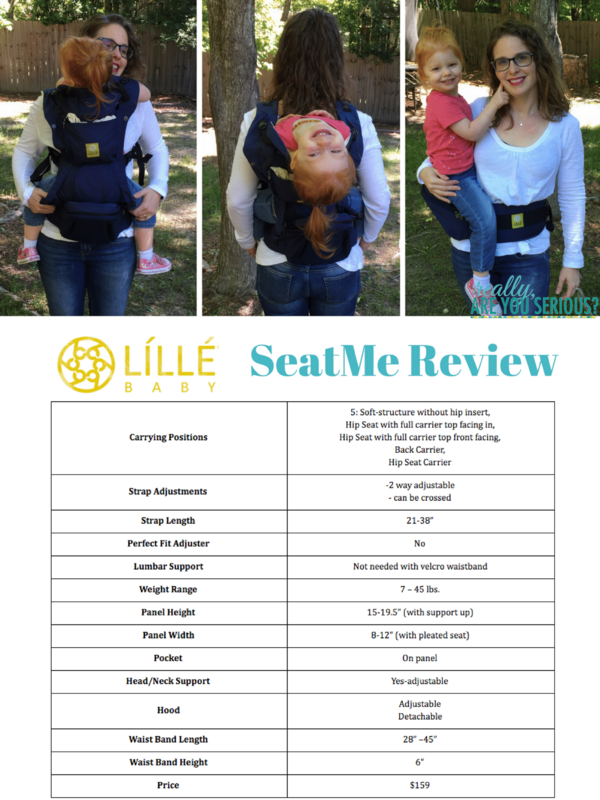 As promised, us using the carrier a couple different ways and the chart showing all the things I think are important about the LILLEbaby SeatMe. If you have more questions, feel free to ask and I will do my best to ask them. This is a crazy looking but handy and quite comfy carrier that I think will surprise a lot of people. I love the seat idea! Scarlett is getting so big the seat support would be really nice! I should bring it over and let you try it out! It’s very different. I just got my SeatMe yesterday. It is my first SSC so I do not know how other carriers feel. When I tried the hipseat with baby, I felt that the waist band was digging painfully into my tummy. And my baby is only about 15 lbs (4 month old). Did you feel the same considering your daughter is heavier? I’m not having those issues or discomfort at all. I’m wondering if a fit adjustment might help? If you are on Facebook, please feel free to message a picture to my page, or there is a lot of help available in the group Lillebaby love where we can help too. Which do you prefer, this one, or Ergobaby? 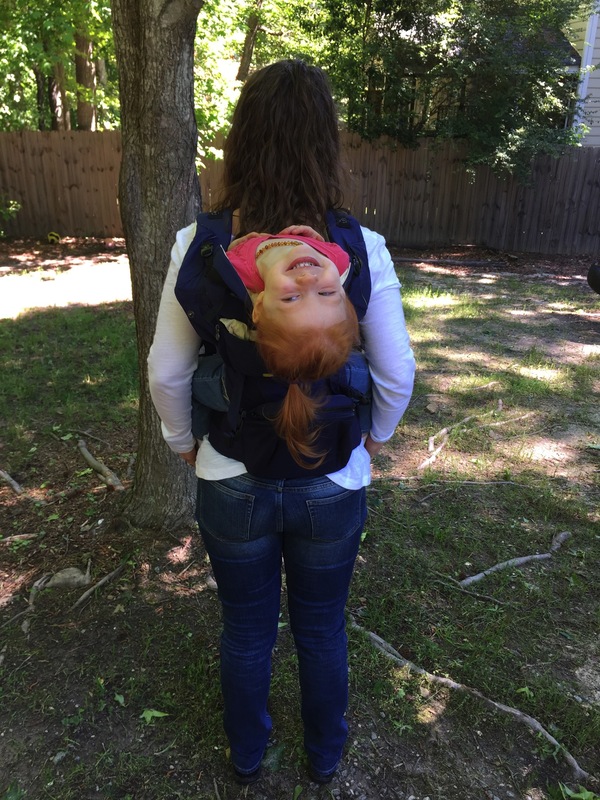 Hi Stacy, I prefer this one to Ergobaby….but my favorite is the Lillebaby Complete. 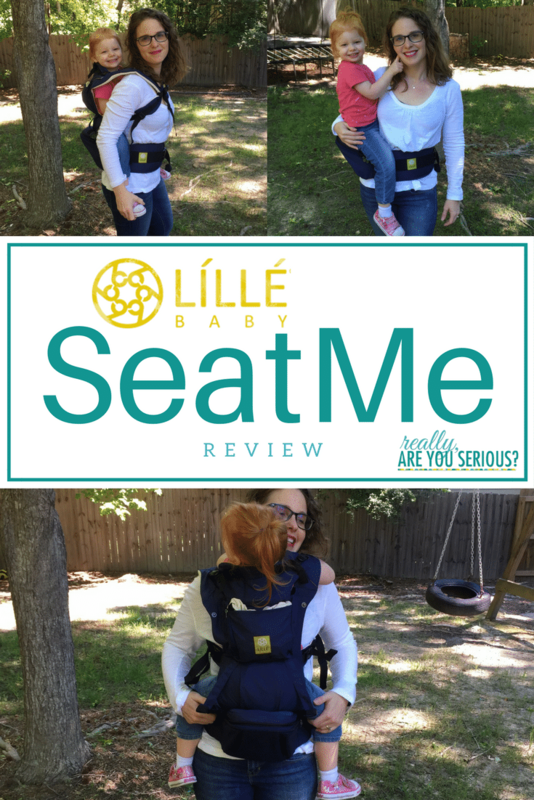 Because the SeatMe is so unique, I haven’t compared it to anything else, but I did compare the Lillebaby Complete to the Ergobaby if you haven’t checked that out. Thanks for your review! I bought one 3 months ago, both I abd my baby love it. Only thing I’m not a big fan of is the fabric isn’t padded around baby legs/thighs. I have my baby front forward sitting and the fabric is sort of digging/pinching her inner thighs that leaves me a bit uncomfortable. I wich they improve more padding like Beco Gemini in the future. Hi Anh. Thanks for your feedback. I haven’t used a Beco Gemini to know how they have padding when you forward face a baby. I don’t feel like it’s really one to compare to the SeatMe in terms of function. I didn’t experience anything with the SeatMe and leg pinching and my daughter is the first one to complain! Do you know if you can forward face without the seat insert in? Meaning just with the soft structure? Hi Elisa. Yes, you can forward face without the seat insert, and just the soft structure! 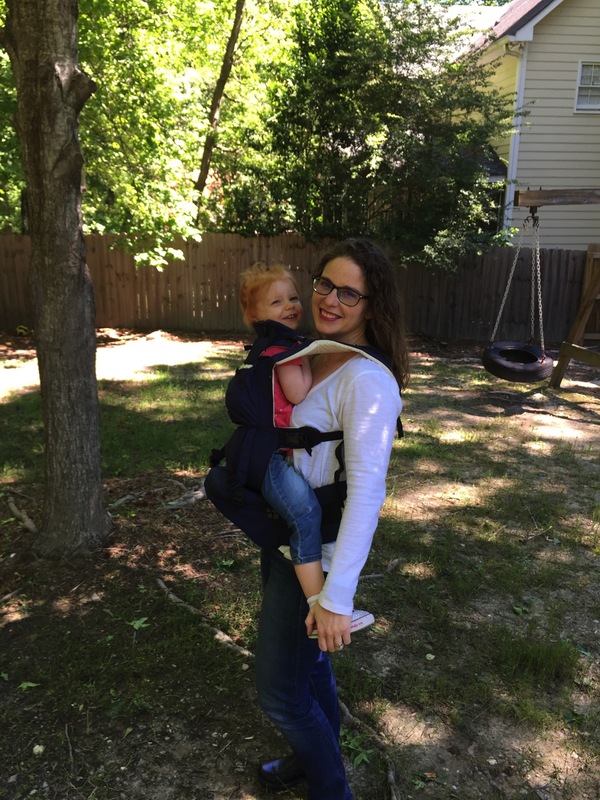 I am trying to decide about carriers and it seems the Lillebaby carriers are great. Would you recommend this one or the complete for a FTM? I have a friend who is a PT and claims that the seat carriers are better for the baby, but I also need one that is comfortable for my back. Just trying to decide on the best mix. I really like all of them. I can’t speak as a PT, but all lillebabys have been approved for baby’s hips. I think it boils down to which features you like the best. My first love is the complete, so that’s the one I lean towards just because I don’t always want the plastic seat. However, either willl be perfect for you and I think make you and your LO happy. What is the soft structure comparable to? Is it like other lillebabys? I have been trying to research to get my first soft structure (ive only been using a wrap) and have been able to try on a lillebaby all seasons. It was a bit bulky but in my opinion the most comdortable and easy to put on and take off compared to other brands. I really am intrigues by this seat me, but i am very curious on how it fits, and how it works without the insert. The ones that are the bolder colors are similar to the lillebaby embossed fabric (like the citrus), the others are a cotton/canvas like the original lillebaby complete. So, similar to the non-mesh part of the all-seasons you tried, or a little softer fabric in the case of he one that’s like the embossed. It fits a little smaller than the complete around the waist, but not much. I have quite a few pictures in the post showing it with the insert and the chart…please let me know if those aren’t loading or I need to answer another way? 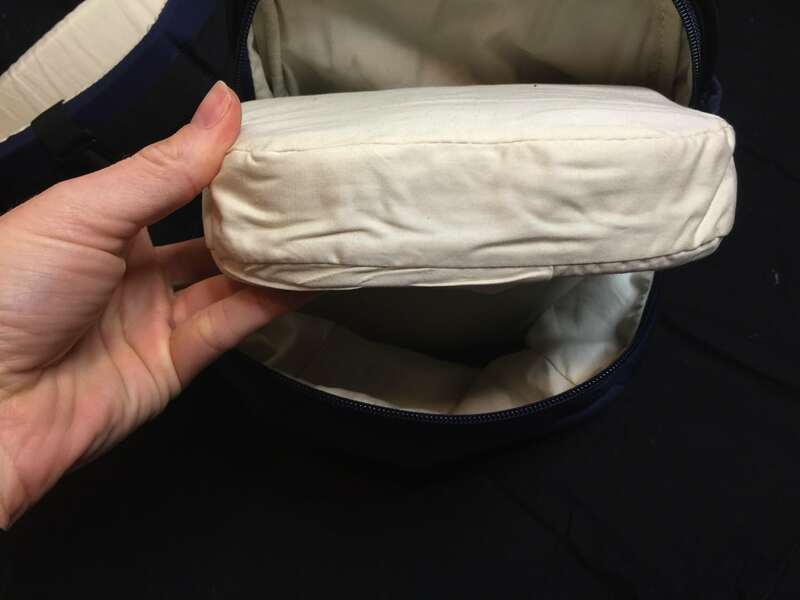 When you take the insert out (do you mean the seat part), it’s pretty similar to a lillebaby complete. If you liked the all-seasons, but were worried about the bulk, I find the complete embossed to not seem quite as bulky without the roll down panel, or the airflow with the all-mesh. When you’re using it as only the hip seat, does it have a slant to it that helps keep baby on you or is it like a straight ledge? It’s hard to tell in the pictures. I was looking at the tushbaby hip carrier because I like that it slopes in, but I like that this can also strap baby to you. I think you mean a slant towards the wearer, right? It does slightly angle towards you. I always felt like my daughter was as close to me as possible and never worried about her falling off. Hope that helps.